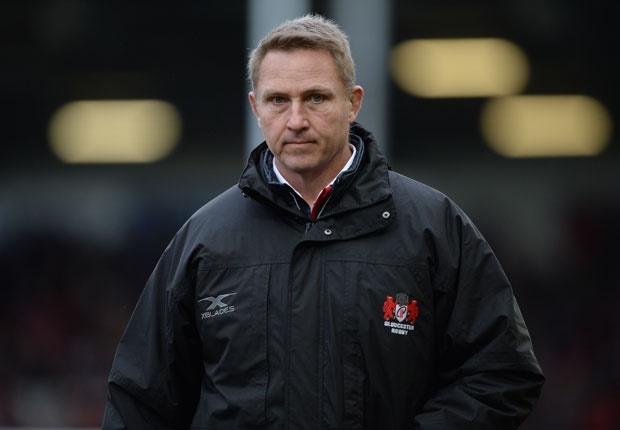 Cape Town - In an exclusive interview, Gloucester coach JOHAN ACKERMANN talks about adapting to life in the UK, what his SA signings will add and previews the semi-final at Ellis Park on Saturday. Sport24 asked: How have you settled in the UK since joining Gloucester? Johan Ackermann: As a family, we have settled nicely in the UK but, I won’t lie, in the beginning it was difficult to adapt. The most important thing is that time has now gone by and we don’t feel so headless. We know where everything is and, more or less, how everything works. However, it was tough to leave behind a network of friends in Johannesburg. We were all very close at the Lions and enjoyed special times over there. However, I was in a comfort zone at the Lions and needed to move abroad in order to grow as a man and mentor. One day, when I look back on my professional coaching career and life, I will be able to say I experienced more than one place. At the start, some players would laugh if I used the wrong words to express myself because English is not my first language. It obviously helped seeing Ruan’s face around the club and having someone to talk to when the others didn’t understand my English. (Ackermann’s son, Ruan, was the first player to join from his previous club, the Lions). However, I am proud of the fact that I have challenged myself, and it’s been worthwhile experiencing different cultures and languages. Sport24 asked: What are your objectives for the impending season ahead? Johan Ackermann: I don’t like to set unrealistic objectives, but rather ones that are measurable. Hopefully we can get better in all areas and stay in the process of improving. We have done well at home, but want to improve our win-ratio away. Reaching the playoffs in different competitions would be the ultimate goal. I know that success gets measured in terms of playing in finals and winning trophies, but we have tried to look beyond that and focus on how we have progressed as a team, in terms of skill and playing ability. There is plenty of behind-the-scenes stuff – we measure our carry, run metres, offloads, ball-in-play time and line-breaks. Those aspects really improved massively from the previous season. Now it’s about getting the balance right and improving on our decision-making as well as our defence. In the past, because were so attack-focused our defence cost us. Last season we didn’t play in the premier European competition, but we have now moved up into the main Champion’s Cup. As such, the upcoming season will prove a step up and a level higher. Sport24 asked: How would you compare the Lions squad to Gloucester? Johan Ackermann: A coach obviously has a philosophy in terms of how he wants to play the game and he can bring over some elements, and others he can adjust. However, Gloucester is a team that is at a different level in terms of player composition and scale of achievement than when I was at the Lions. Consequently, it wasn’t possible to simply copy and paste. As a mentor, I almost had to reset when I arrived in Gloucestershire. I really started delving deep into my game philosophies and coaching ability again. The lessons I learned in my first season at the Cherry and Whites was to get to know the team, the player group and adapt some of my leadership principles. At Gloucester, the expectation is that the team must adapt quicker and perform better because we have a number of international players on our books. We can’t accept two years of trial and error before we start winning. In contrast, when I was part of the Lions coaching set-up, nobody gave us a chance because we were relegated from Super Rugby and came back as a fresh coaching staff and new set of players. Sport24 asked: What have you made of the Lions’ road to the semi-final? Johan Ackermann: I’m very proud of the Lions for reaching the semi-finals for a third year in a row. There were times this season when they went through a tough phase, but the sign of a quality team is the ability to come through difficult times. One has to credit them because the matches they needed to win, they won and they have worked themselves into a home playoff position. However, the Lions lost more games this season than over the last two campaigns. For the first time, I can really understand the frustration from the teams that amassed more log points, but finished lower because of the conference system. (The Lions finished in fourth-place in terms of log points, but secured a home semi-final as South African conference winners). When you are a Super Rugby coach, you don’t worry about that and are just happy to be conference winners and take a home playoff… During the round-robin stage, I felt the Lions needed to improve their finishing and bring more balance to their game. For example, they led quite comfortably against the Blues and Sunwolves but, at times, their decision-making let them down. Deciding to throw the 50-50 pass and play another ruck when there was no structure or space to run, is what they needed to improve. They have since got the balance right and have closed out matches well in the last few weeks. The calmness of Warren Whiteley, Malcom Marx and Ross Cronjé has shone through and they returned from injury at the right time. With those senior players back in the team fold, it’s definitely clear to see that the Lions decision-making has been much more clinical. Sport24 asked: Are you pleased with the South Africans you have signed? Johan Ackermann: I’m very pleased that we could sign players of the quality of Jaco Kriel, Ruan Dreyer and Franco Mostert. (In terms of the latter, Lions CEO Rudolf Straeuli has said that he won’t let Mostert go without a fight, as he remains contracted to the Lions until October). South African players have proved popular acquisitions right across the rugby world. I believe it’s the character of the players, which makes them so sought after. The elements include their work-rate and that they are team players. The fact that I worked with the (aforementioned) players at the Lions means that they will fit into our playing style and the profile of the club. They will be popular additions to our team. They are high-profile players, who had options to play all over the world. I’m therefore very humbled and pleased that they decided to further themselves as players at Gloucester. Hopefully they will prove great additions not only for us, but in terms of the qualities they’ll bring to the Premiership. Sport24 asked: Do you see anyone stopping the rampaging Crusaders? Johan Ackermann: I read that Sharks coach Robert du Preez said that he “can’t see any other team beating them.” Having lost to the defending champions in Christchurch last weekend he has got a right to say that. When you play a quality side like the Crusaders, you experience how tough it is to beat them in New Zealand. However, in rugby, funnier things have happened. I’m a firm believer that finals are unpredictable. When I was playing for the Sharks in 2007, we were leading against the Bulls and basically just needed to kick the ball out to win the Super Rugby title. We didn’t, they got the ball and scored a try after the hooter had sounded. Afterwards, you sit with a lot of ifs and buts. Last year, the Lions went unbeaten, apart from one game – the final – but we couldn’t win the tournament. How ironic would it be if the Lions go and win the tournament this season, having lost seven round-robin matches and failed to finish at the top of the overall Super Rugby log standings? Sport24 asked: Will home ground advantage prove pivotal for the Lions? Johan Ackermann: As Lions coach Swys de Bruin noted earlier in the week, home ground is definitely an advantage. The travel coupled with altitude are definitely factors for any visiting side. Now that the Lions have reached the semi-finals, they have the experience, leadership and don’t need to go in search of the try-scoring bonus point. Make no mistake, they will stay true to their attacking mindset, but it’s a knockout game and you can take the points when on offer. The majority of their strongest team is available and I can’t see the Waratahs doing to the Lions what they did against the Highlanders last week. If they are going to let the Lions run away with it, the visitors will be in trouble because the hosts’ strength is normally the last 20 minutes at high-altitude at Ellis Park. Over the last few years, not many teams have come to Johannesburg and beaten the Lions. I think it’s a higher percentage that the Lions will win the second semi-final, with the first match closer to call. If there is one team that can upset the Crusaders, out of all the Super Rugby sides, it’s the Hurricanes. I know everybody in South Africa will be rooting for that result. (The Lions would host a home final if they beat the Waratahs and the Hurricanes defeat the Crusaders). Personally, I think the Crusaders deserve to host a final in Christchurch because they have only lost two matches all season. Based on home ground advantage, experience and a superior pack, I feel it will give them the edge, but it’s the playoffs and anything can happen.